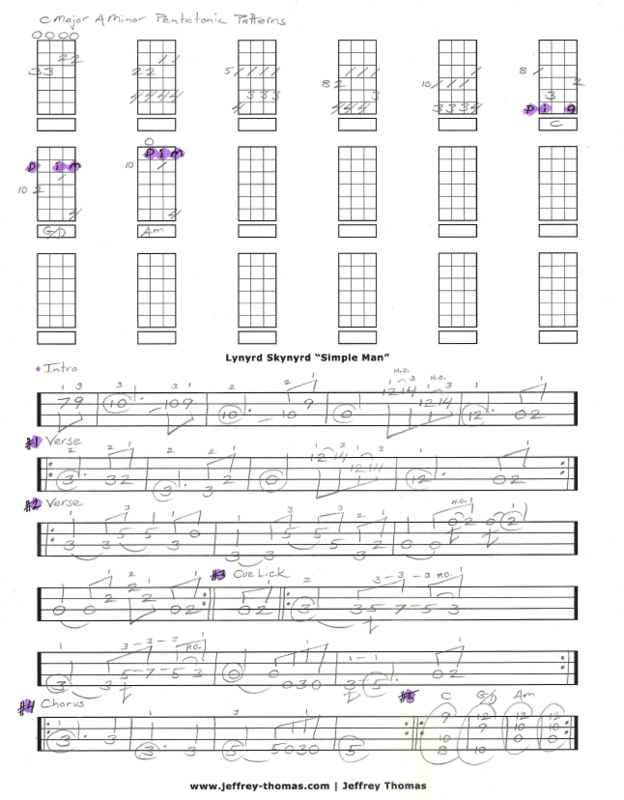 Learn to play “Simple Man” by Lynyrd Skynyrd with my free southern rock bass tab. In this tab you will learn all the intro, 2 verse options, chorus, all five pentationic patterns for C Major and A minor, cue lick and chord voicings. Everything you need to sound great when playing this tune. This is very popular song with my bass students who like southern rock. Want the full bass tab for free? Just send in your email address using the form provided. Looking for online bass lessons? Fill out the Schedule A Free Lesson form to set up your free Skype bass lesson today. Since “Simple Man” has become available as a digital download it has sold over million copies in the U.S. as of November 2013! Make sure to check out my free online bass lessons on the tab, video and blog pages.